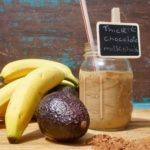 So, before you reach for any nutritional supplements or wonder why your balanced healthy diet isn’t all it should be cracked up to be – why not try including sprouted seeds and grains to your diet? 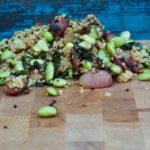 Not only do sprouted grains get rid of some of these anti-nutrients but they are also a little powerhouse of nutrients themselves. 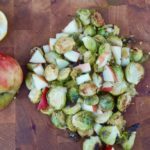 As soon as the sprouting process starts the vitamins, minerals and protein content substantially increase with a simultaneous decrease in caloric and carbohydrate content. How wonderful is that? – nutrients increase – calories decrease – its a perfect superfood. Not only are they a true nutritional powerhouse, but they are alkaline, whole, pure and …wait for it…cheap! So why isn’t everyone on this bandwagon? I’m guessing there isn’t a great deal of margin in it for big corporations. But its cheap and very easy for you to incorporate these little powerhouses into your life on a daily basis. 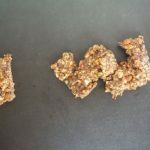 Sprouting your own seeds is extremely easy to do. I went to Amazon, bought myself some seeds and a stackable tray of 4 seed sprouters (you don’t actually need the trays but they are convenient) the package cost me less than $25 and I’ve got seeds sprouting all over my kitchen. May have to make myself a seed halo! 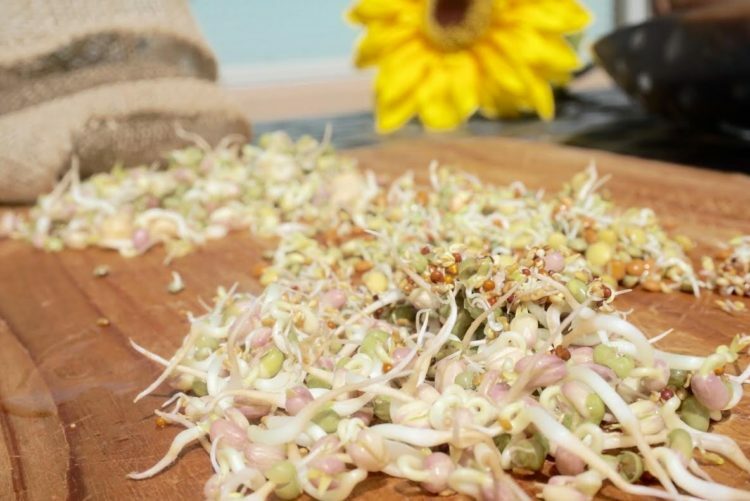 I love eating the sprouting seeds on their own, they are great for topping off salads and wraps, adding to stir fries and soups and include in your morning smoothie.